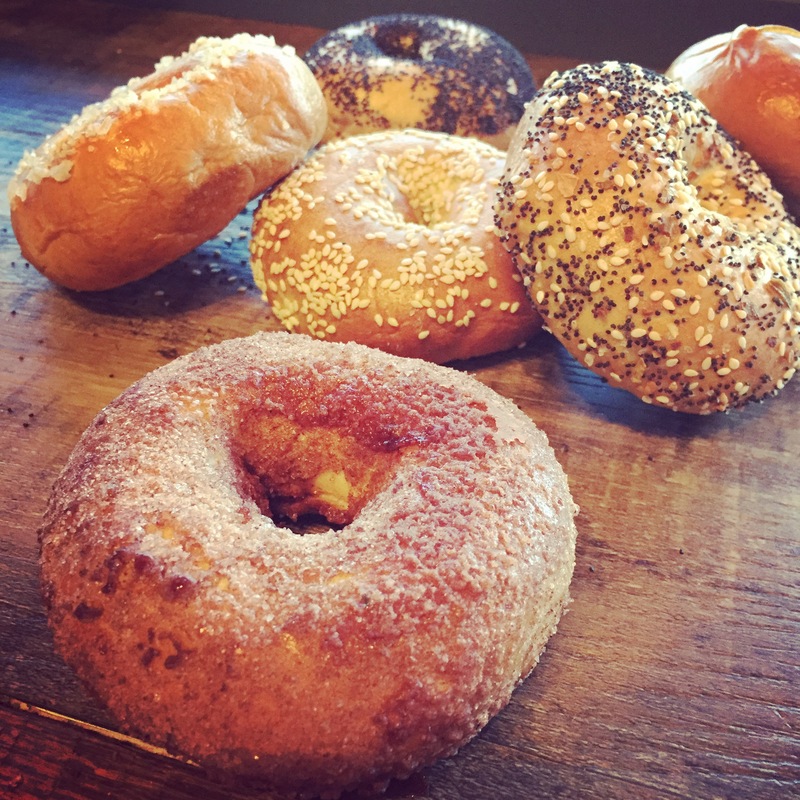 We are working through city permitting and hope to open our doors to glutenistas soon. Doors will open daily at 7am. 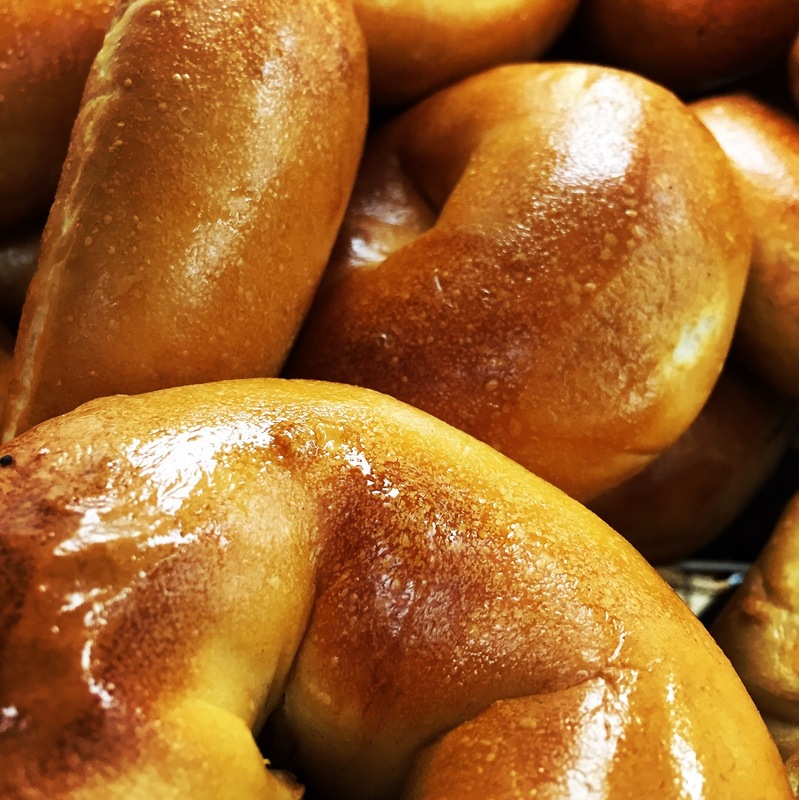 C’mon over for a baker’s dozen, a bagel with a schmear, or a B.L.C. (bagel, lox, cream cheese). I have a confession. I didn’t eat my first bagel until I was 12, and I did it all wrong: grocery store bagel, toasted, with peanut butter, in Denver. But it was awesome, and I was hooked. Everything, Sesame, Poppy, Salt & Plain. 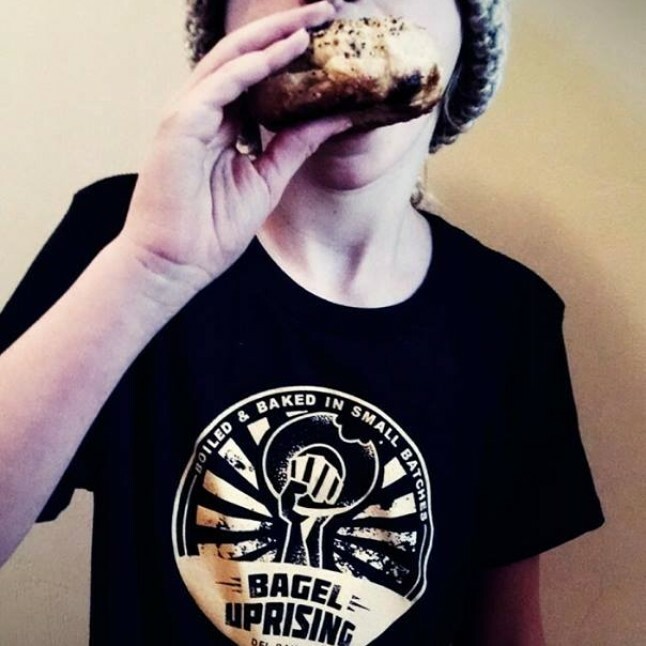 Bagel Uprising launched at the Four Mile Run Farmers and Artisans Market in September 2015, and is working on permitting for its permanent outpost at 2307A Mt. 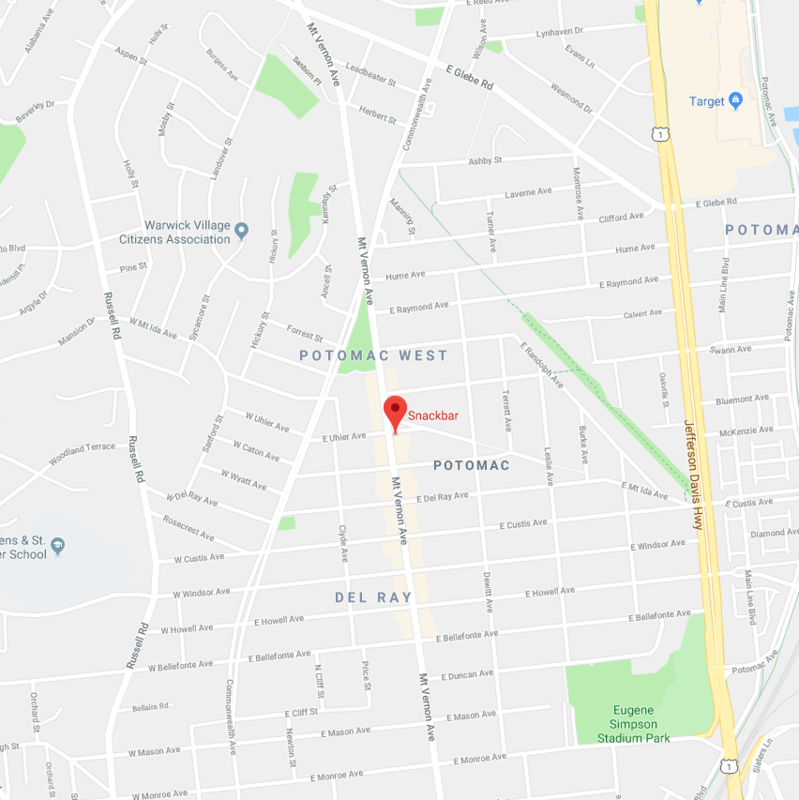 Vernon Avenue, Alexandria. 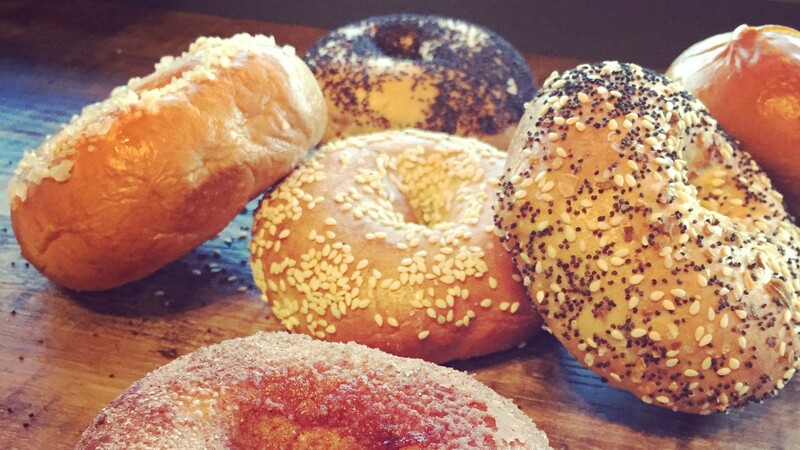 As Homer Simpson so wisely observed, “you don’t make friends with salad.” Be an office hero or a cherished houseguest by showing up with bagfuls of bagels! We happily fill special orders any day of the week! Extra soft and exceptionally stylish. Simply the finest in bagel attire. Black, military green, or light brown. Available in youth sizes through XXXL. 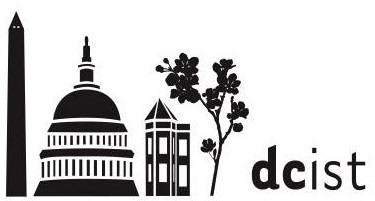 @justindotnet @TheDelRayDish @overheardDRVA @StompDelRay Thank you! Everyone at the city has been great. It just takes time. @LizOC Permitting is taking longer than expected, so .... tough to say, but I'd guess 6 weeks. Stay strong! @noramacaluso Egads! Thank you, Nora. Fixed! or good old fashioned email.